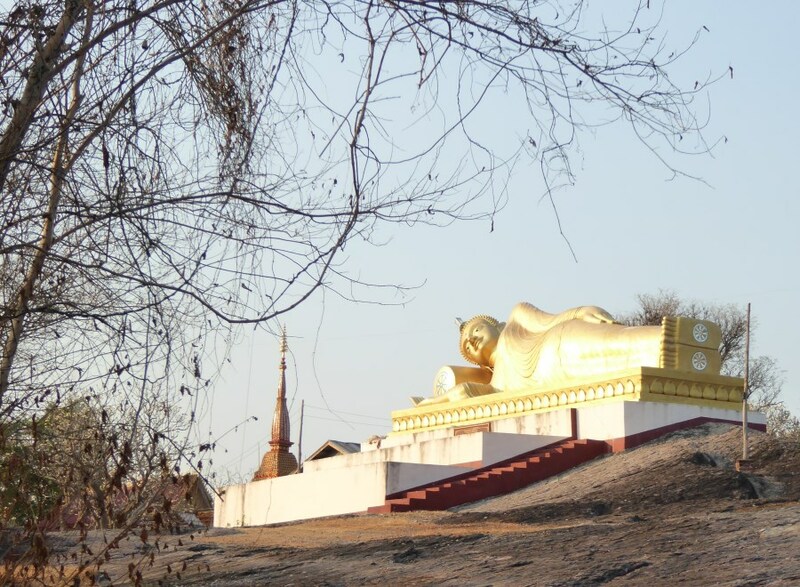 It springs from a plateau in Tibet and gushes through 6 countries. Yes, Tibet, China, Laos, Thailand, Vietnam and Cambodia. 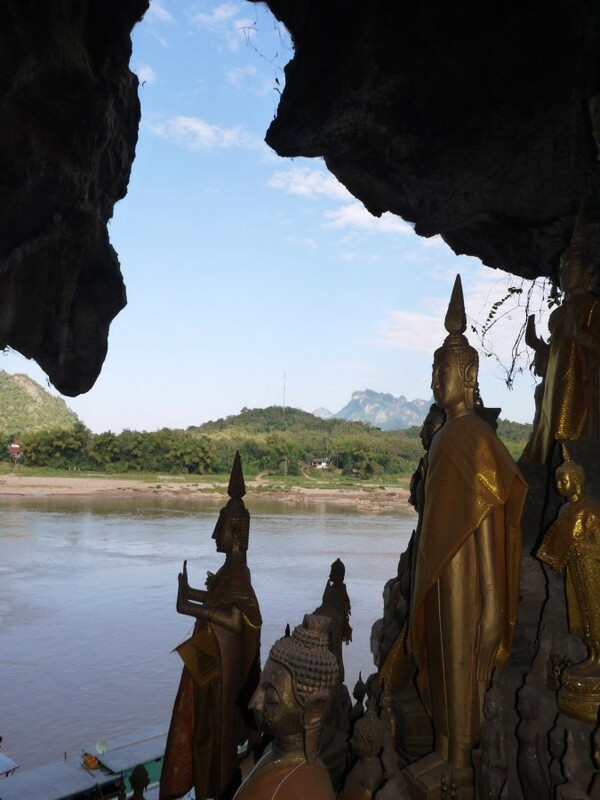 But it streams through Laos more than any other. 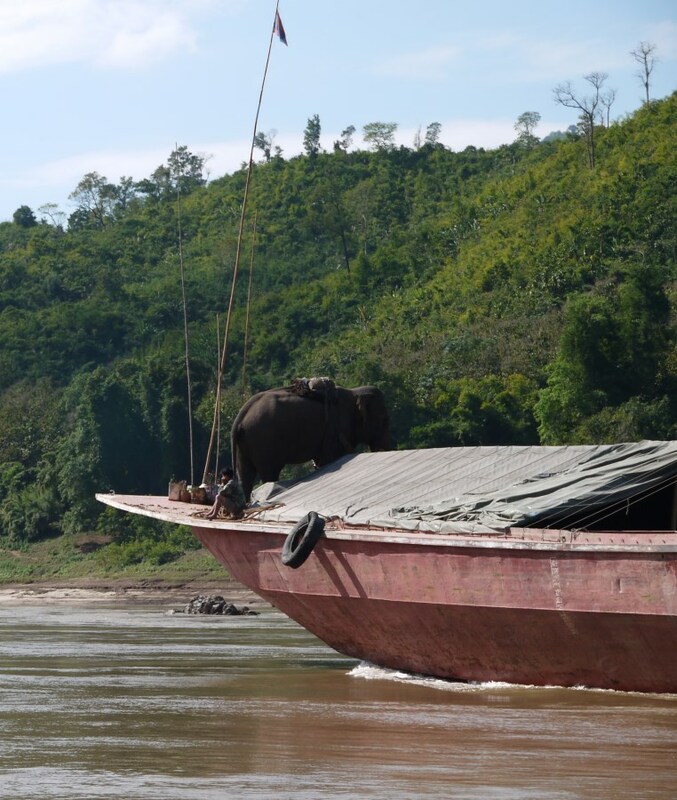 In Laos, the length of its waterways equals its paved roads! We travel down its length. We leave it here or there to see this or that. But the River always drags us back. 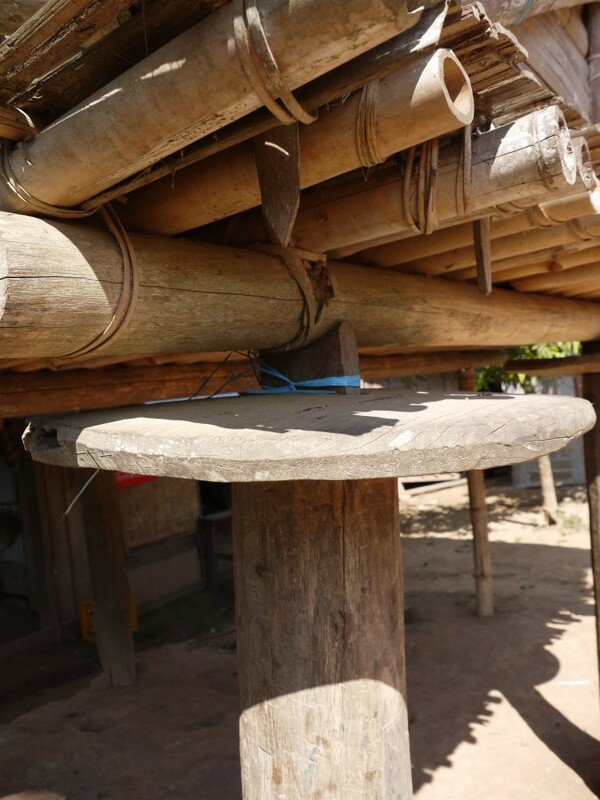 We start to crave it … like local Lao! In the north it is high and narrow and deep. In the south it is low and wide and shallow. In some parts the past hangs on. In other parts the future insists. It’s a seesaw! And we catch it in the middle! 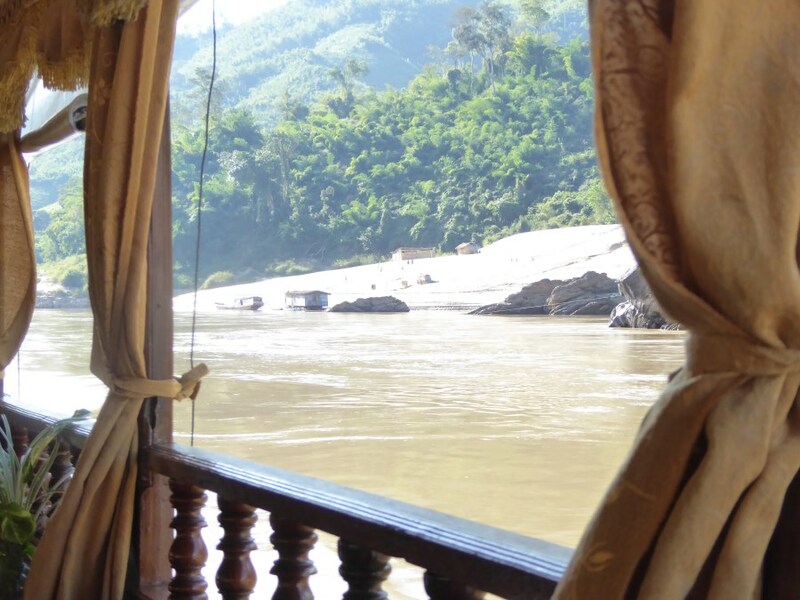 The Mekong is about to tip from the past to the future. 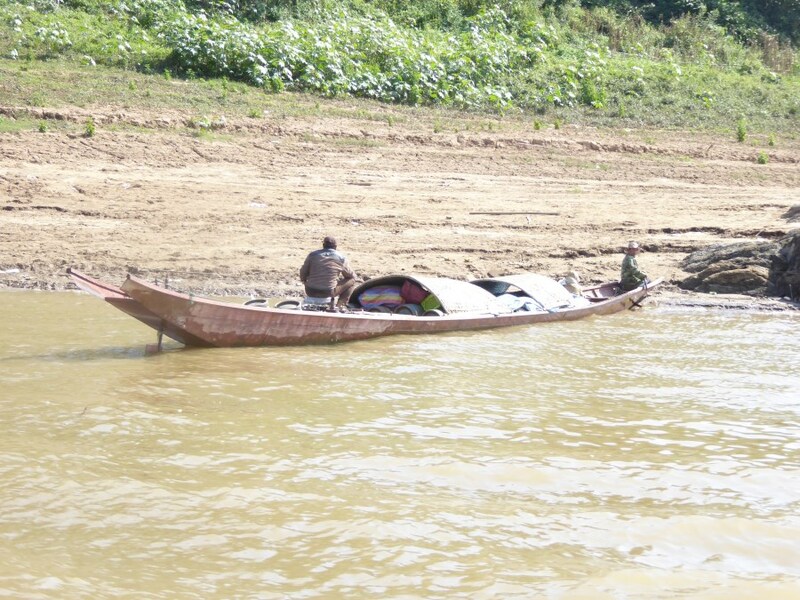 But both ways and all ways, the Mekong River is the Lifeline for Laos. 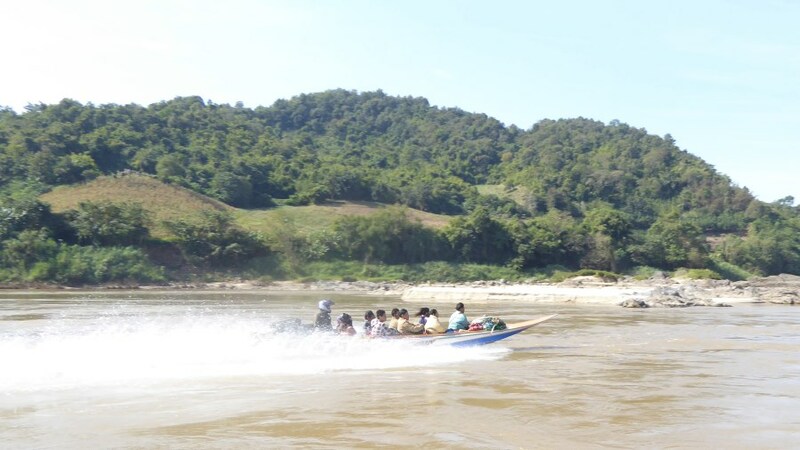 We take a longboat from Houxayai to Luang Prabang. It takes two days. The boat is long; a whole 20 m long. It’s narrow; only 2.0 m wide. Our bikes wedge in at angles. Our captain is Ten Keng. He steers his log of a boat with an old hand. We pass sandbanks, miss rocky outcrops and slip through turbulent waters. 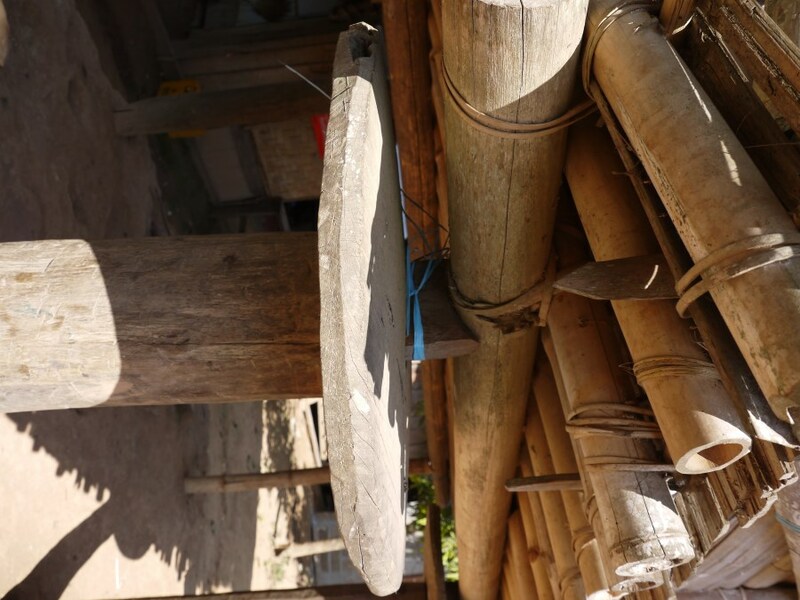 Ten’s son runs up and down the length of the longboat. 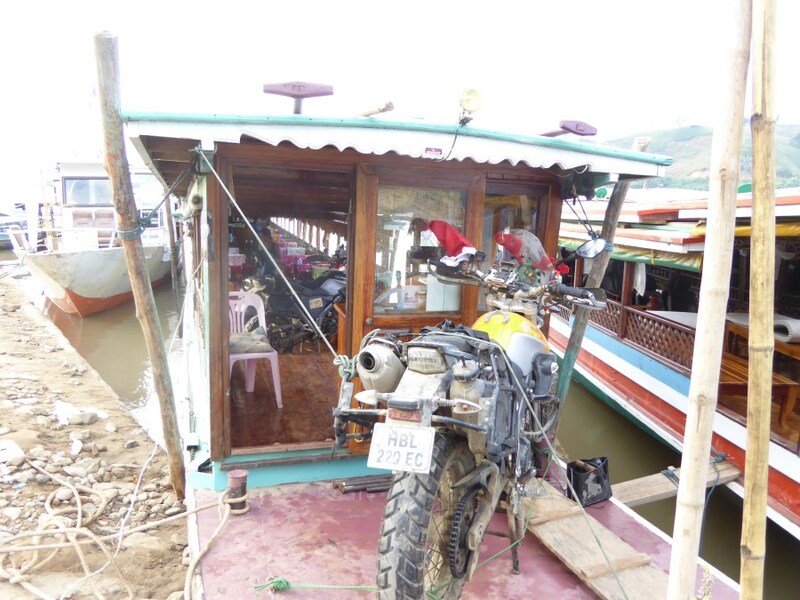 With fuel, with luggage, with food and, at last, with beer-lao. His wife prepares and serves lunch. It’s delicious, twice. This is what they do. 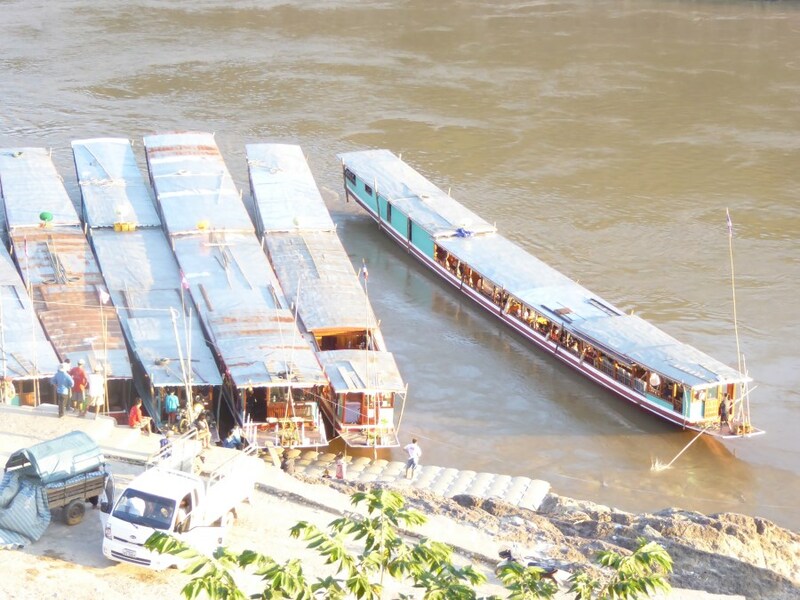 They move stuff up and down the Mekong River. Rice, timber, and recently more and more tourists, like Harry and I. 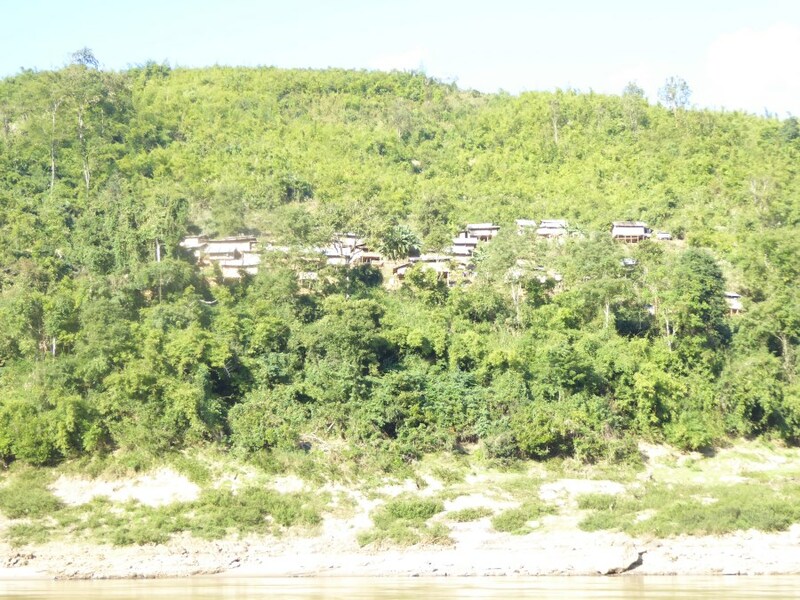 Along the way we stop at two small Hmong villages. Here and there, small communities still live. They catch in the river, in the forest. Money dribbles in from the produce they sell. The cloth they weave. Like they always have, they make ends meet. We feel, barely. But word of ‘the future’ sits heavily. Ten Keng needs to make way for progress. 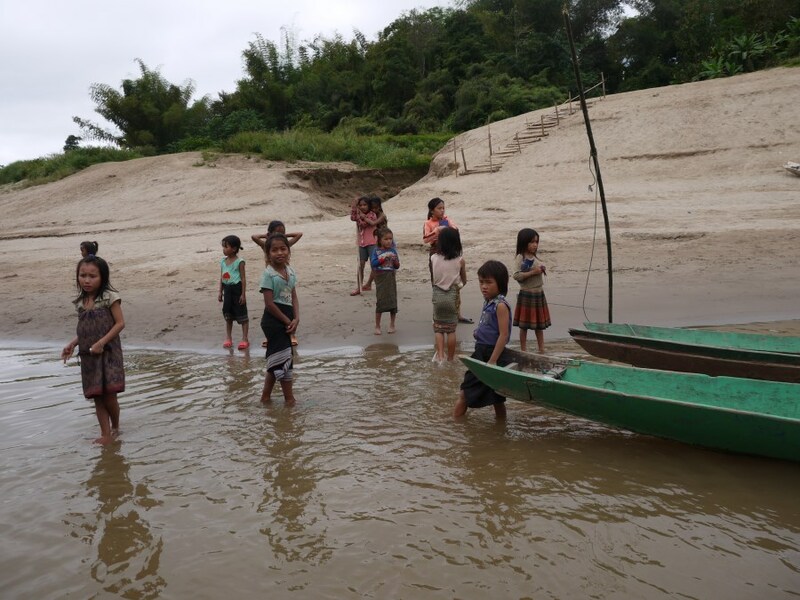 Little riverside communities need to make way for progress. Oh dear. Progress please take them along with you! 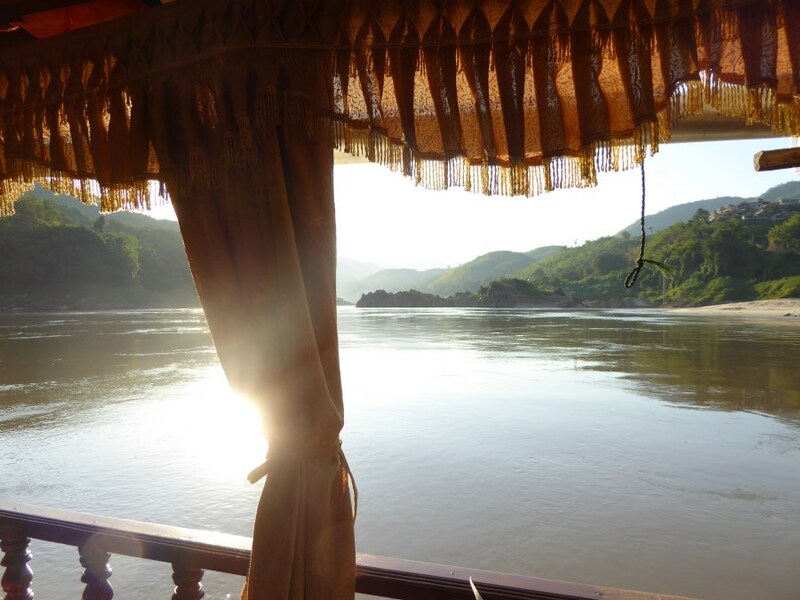 All that Mekong water rests in perfectly shaped valleys. The neighbours of Laos are hungry for power. The ingredients for hydro-electricity! 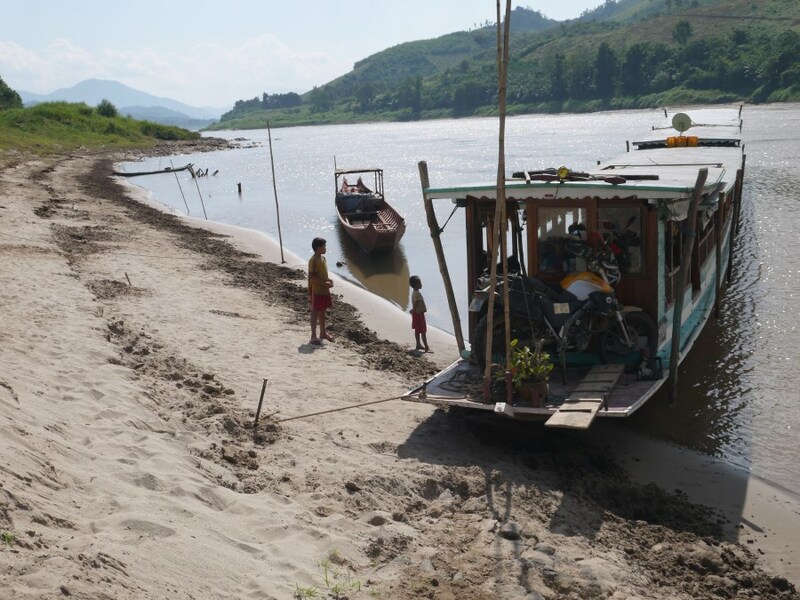 The Mekong River throws a lifeline to Laos again. 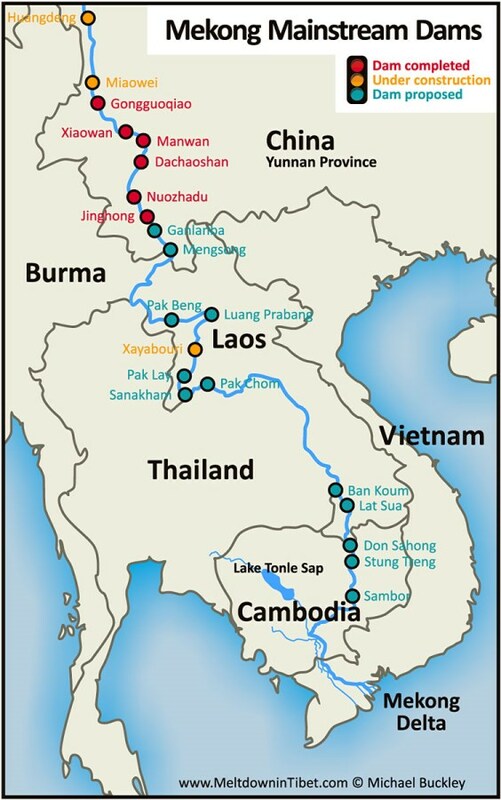 Laos plans furiously. Dam walls rise up the sides of valleys. Water gathers and thunders through hydro plants. Power-lines beat a track to Thailand. But it is never enough, is it? 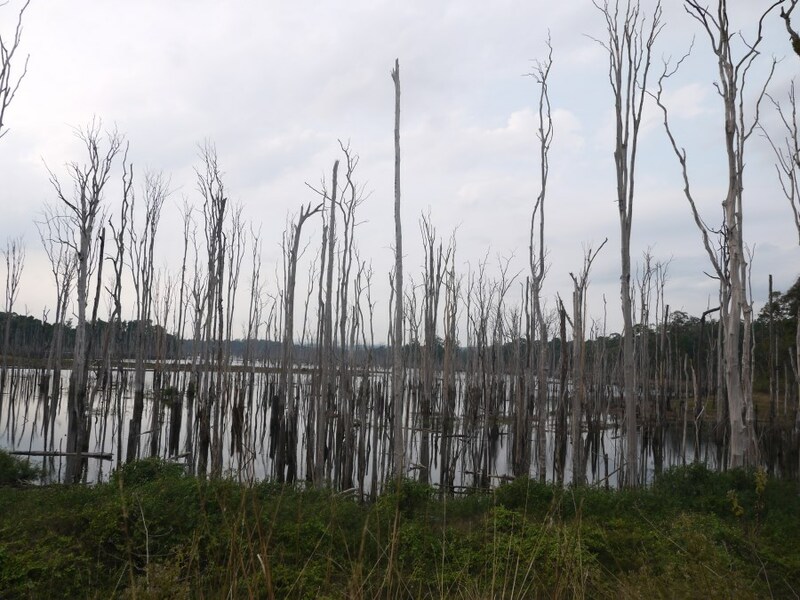 Plans to flood forests to create reservoirs unfold. 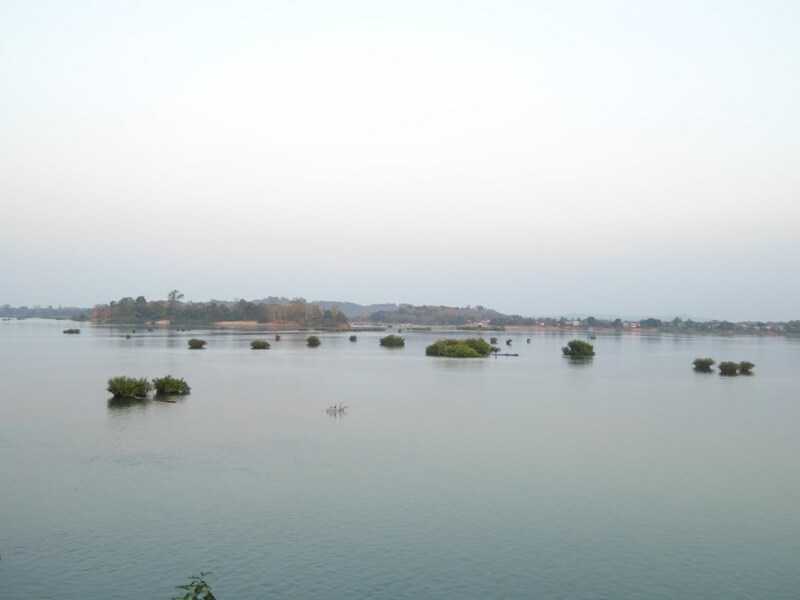 Inland water is to double in 5 years. 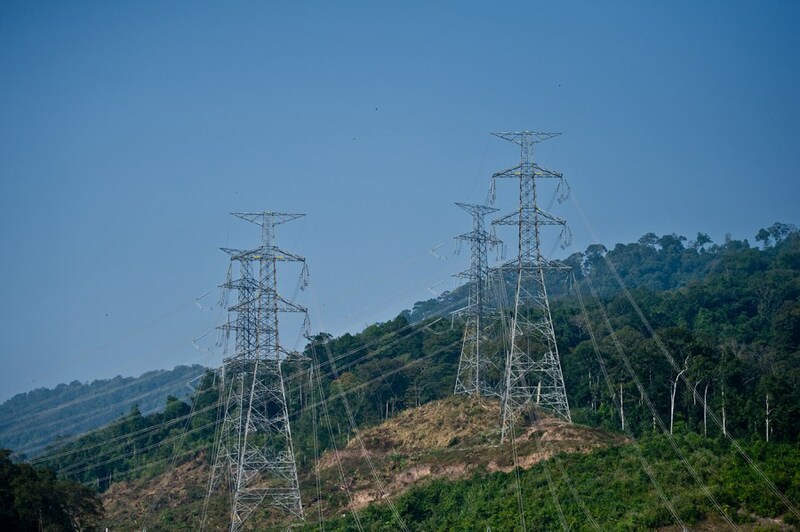 Laos hopes to double its electricity export. 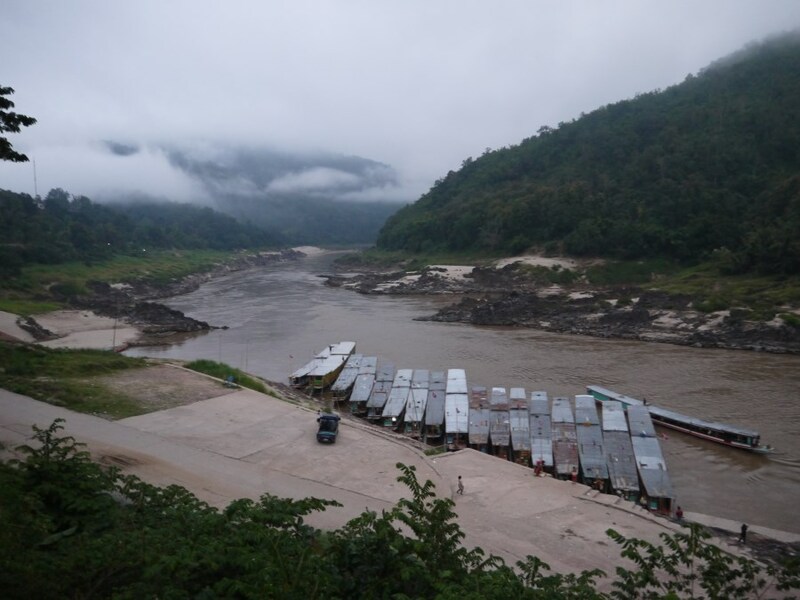 Maps show 9 hydro-electrical dams on the Mekong. Two are almost complete. 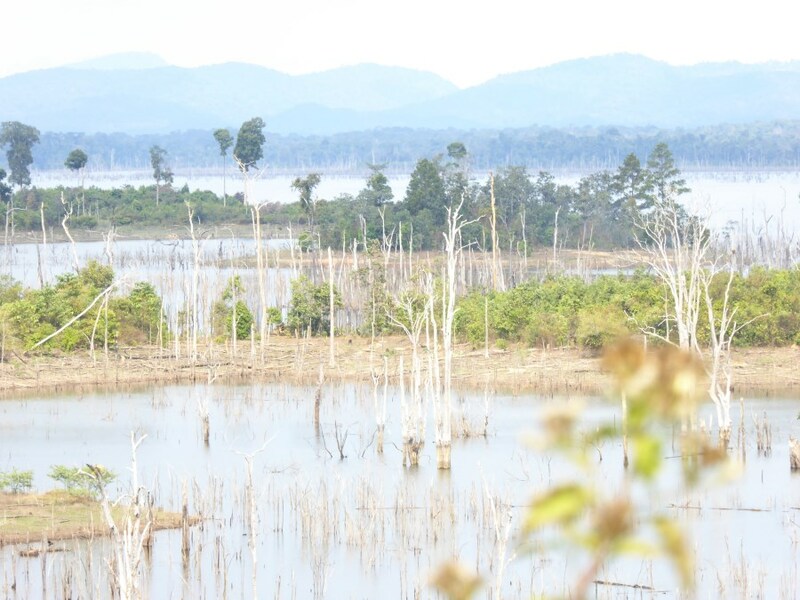 This is on top of 6 completed dams in China; 2 planned dams in Cambodia. 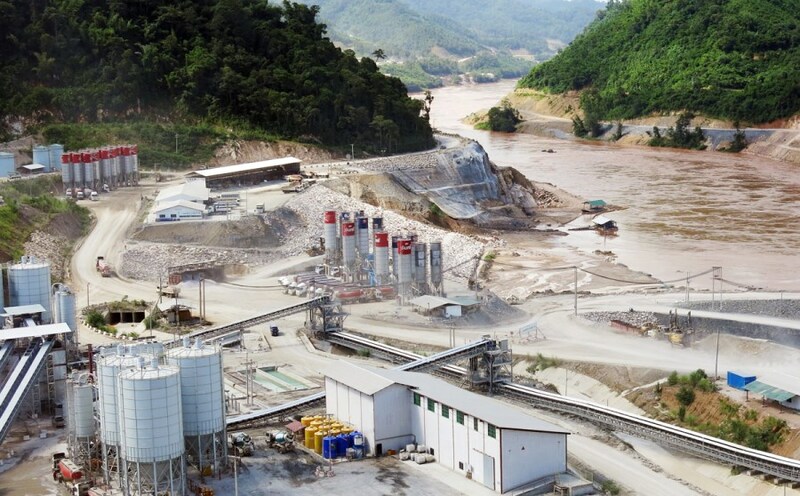 Revenue from Hydro Power gives Laos a leg up. It’s an impoverished nation. It’s cleaner than fossil fuels! But projects displace whole communities. 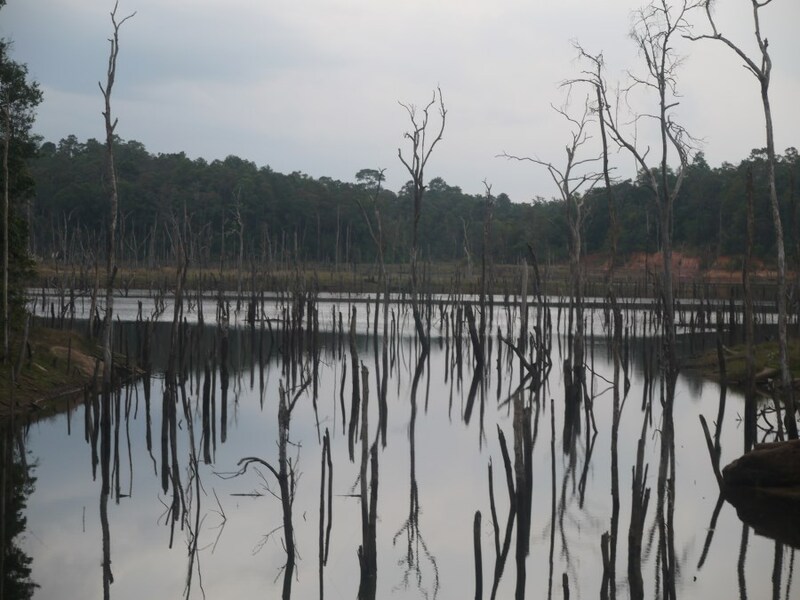 Flooded forests destroy animal habitats. 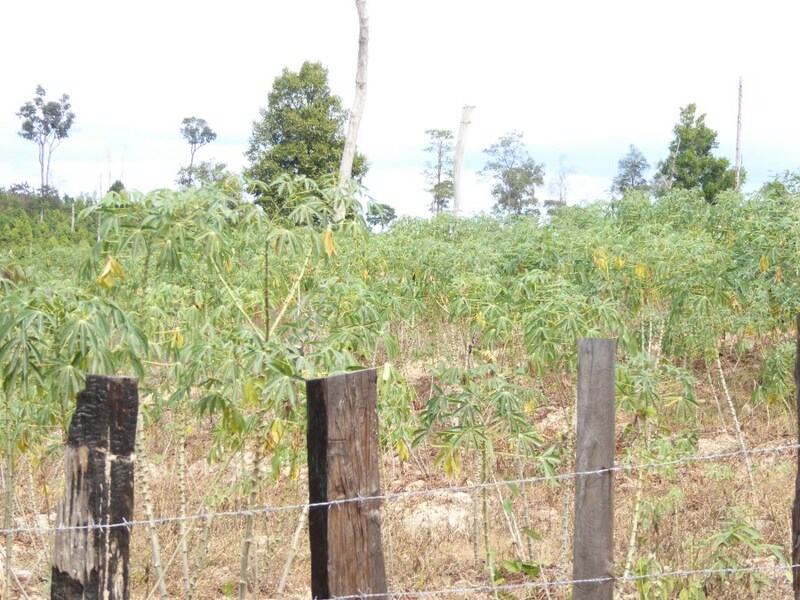 There is less land for farming. 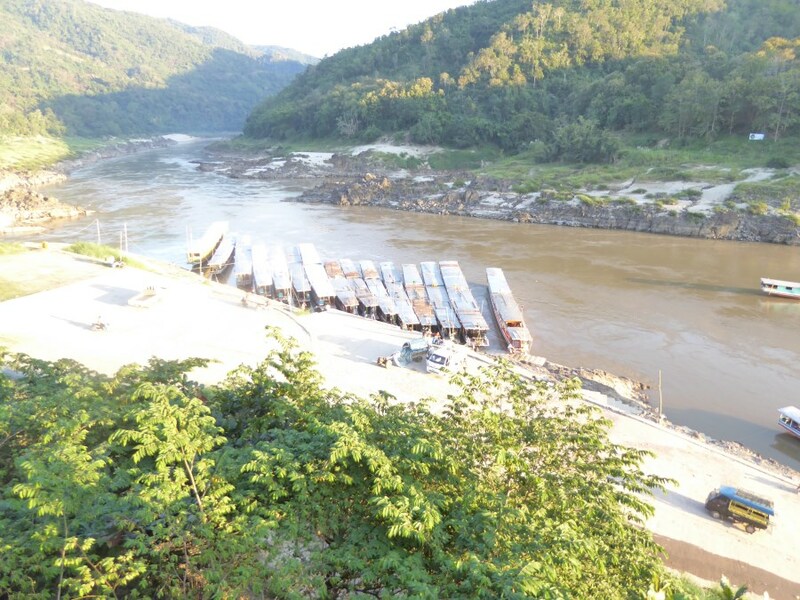 Dams disrupt fish migration routes. 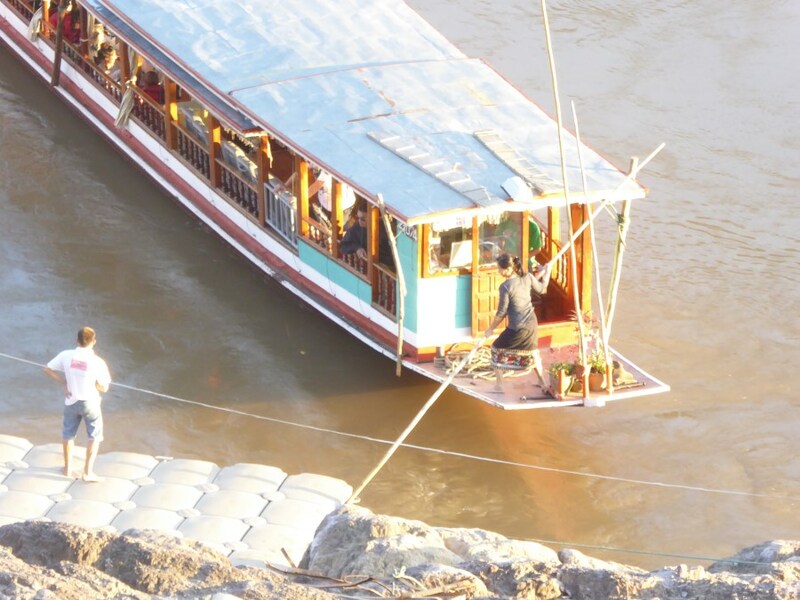 And, of course, Ten Keng’s longboat will no longer ply the Mekong. 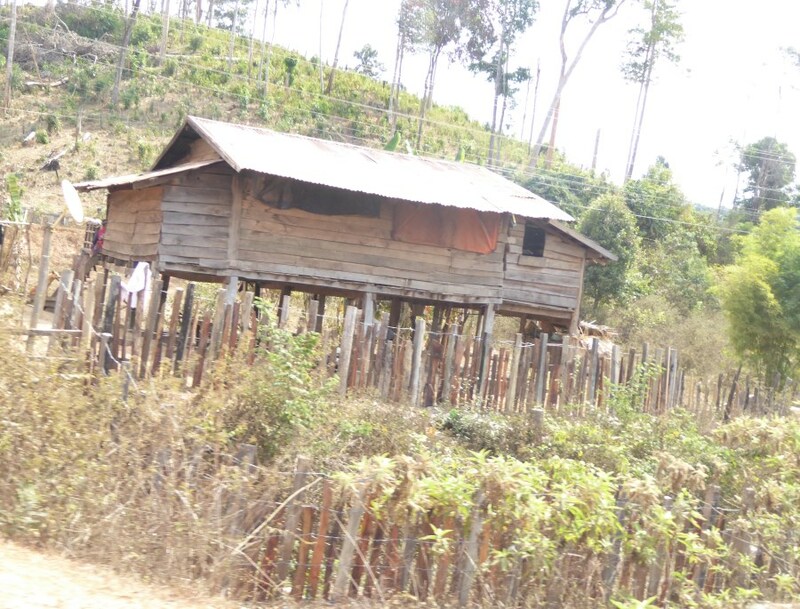 Families relocate without proper compensation. 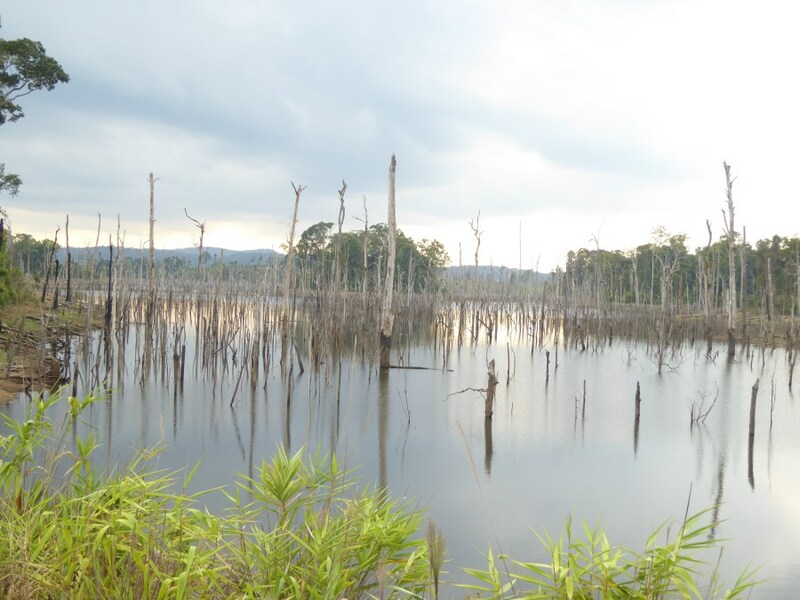 Forests flood without environmental approvals. Assessment reports contradict! 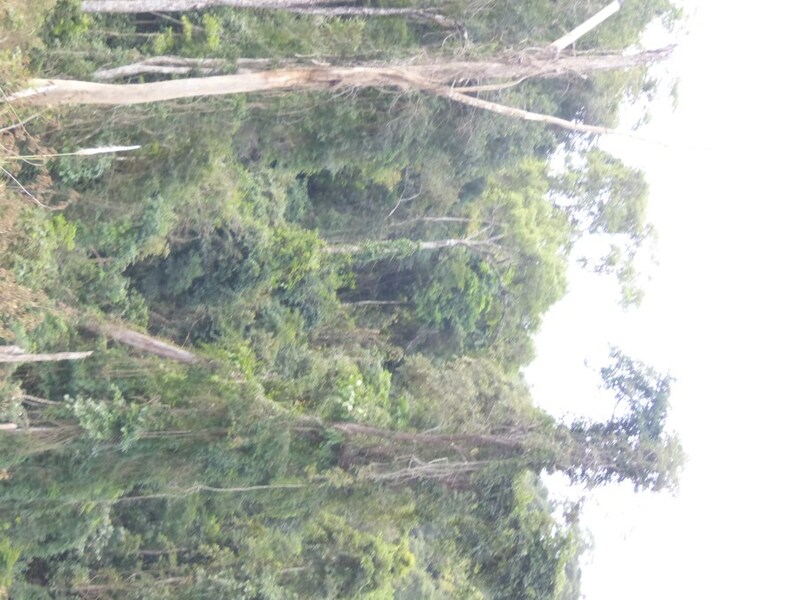 Timber is big money and corruption thrives. 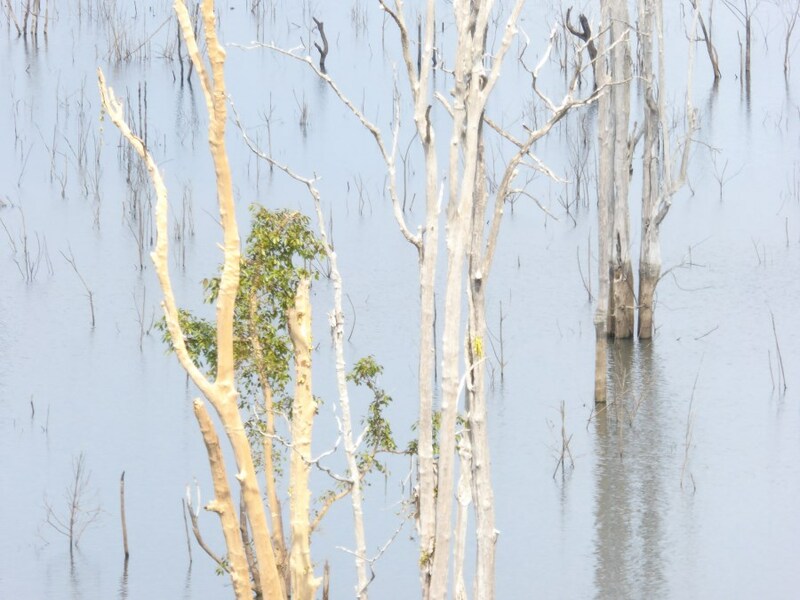 We see those flooded forests. And a dead tree has a creepy beauty. And here forests full of dead trees bear testament to the sacrifice. Progress often demands sacrifice. And we want progress for Laos. But maybe not nine dams full of progress? The seesaw weighs heavily towards the future. Hold on Ten Keng! Hold on tight riverside communities. Please don’t let progress toss you up and away. 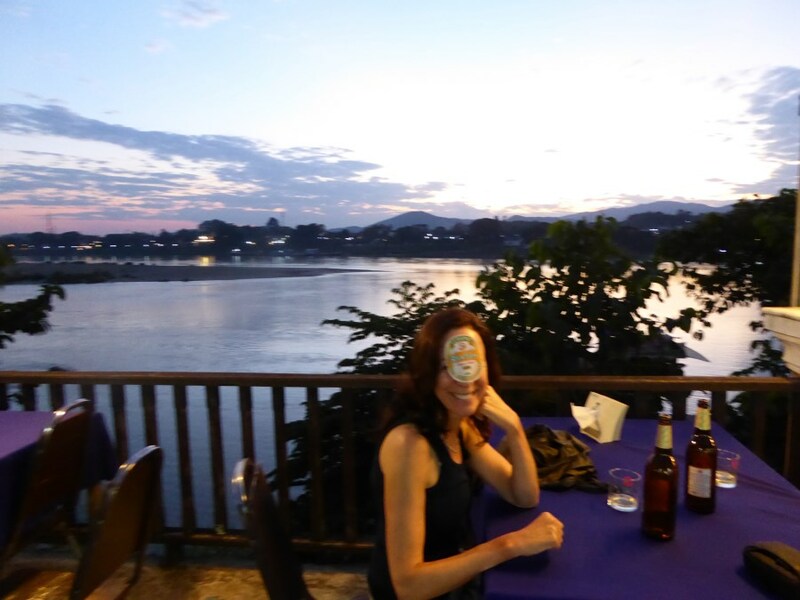 Our first BeerLao on the Mekong River. Relatively prosperous Thailand is on the otherside. 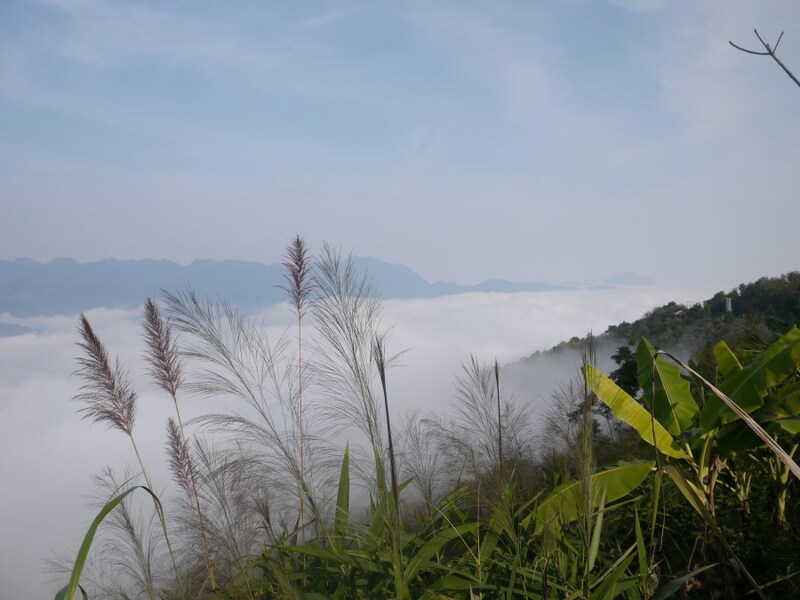 … and fills up with mist during the night. 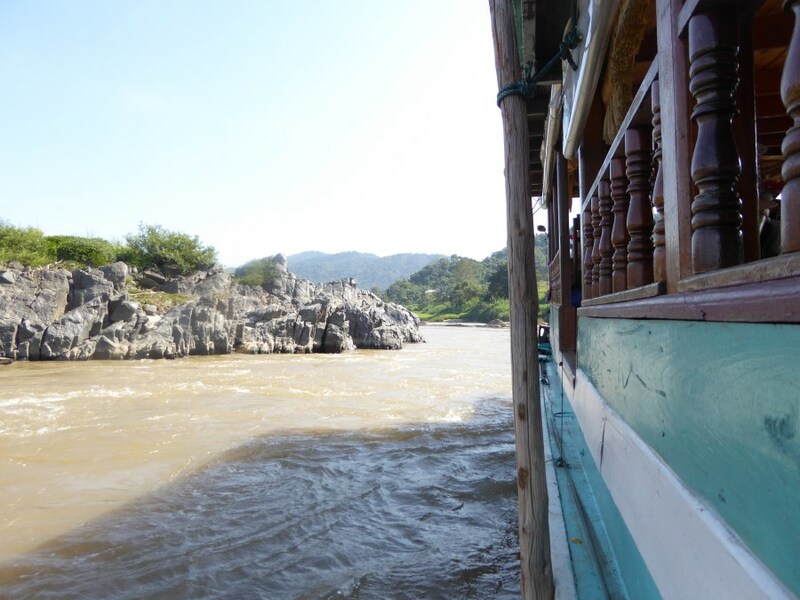 In the middle reaches, at Savannakhet and Champasak, the Mekong broadens. 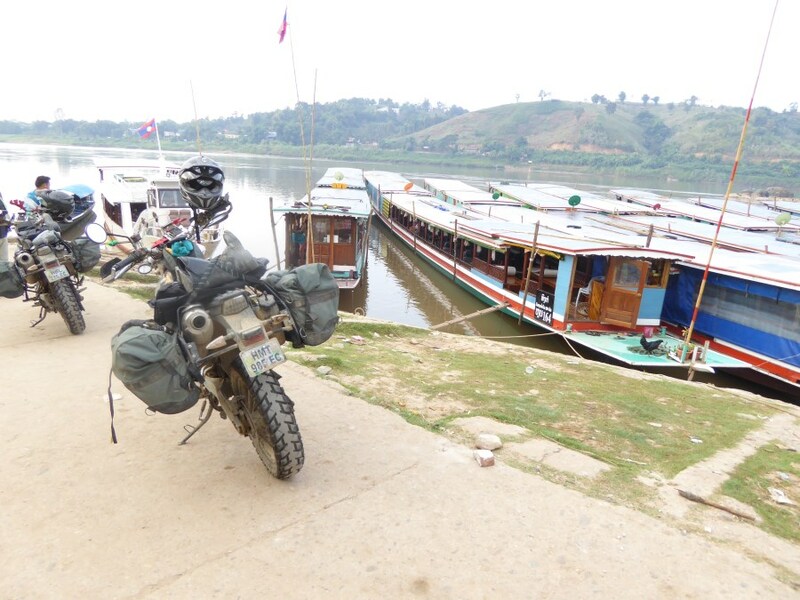 In the south, at the border with Cambodia, the Mekong is 14 kms wide. 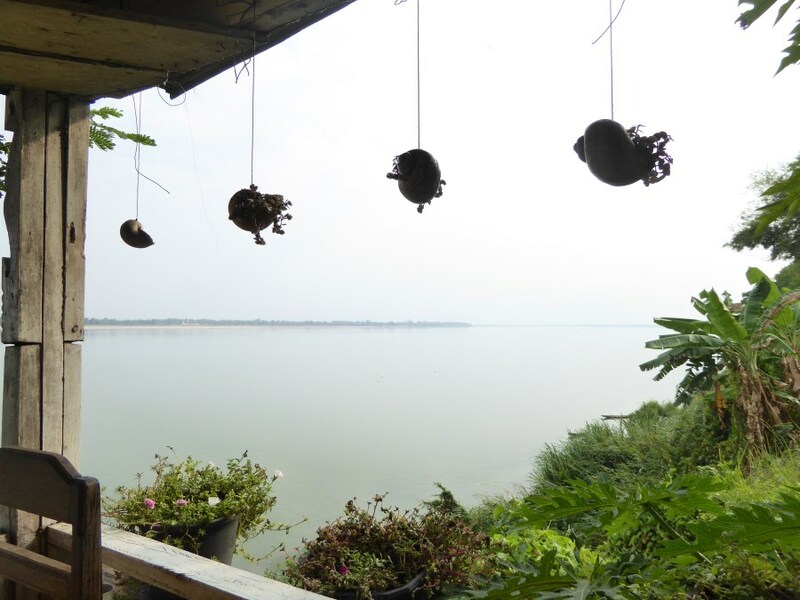 It is called Si Phan Don (4000 islands). We stay on one of the islands, Don Khong. 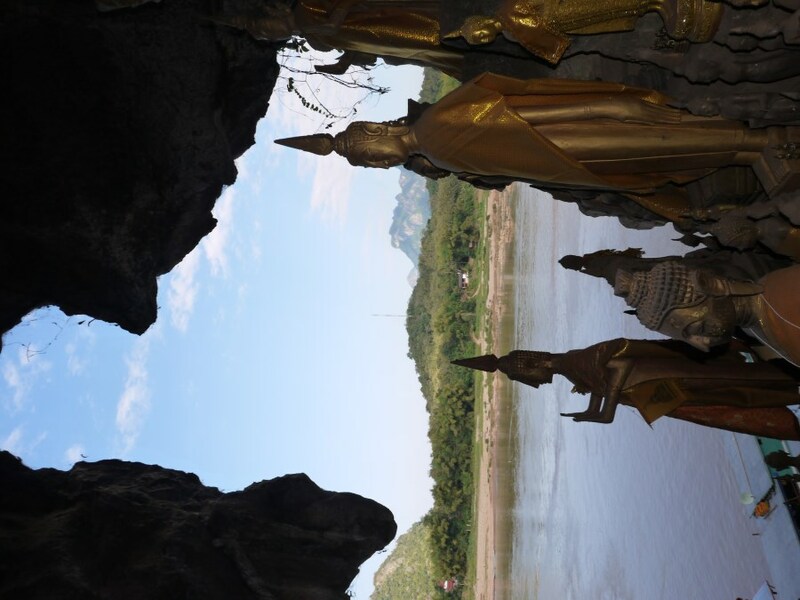 And all along Buddha graces the Mekong River. 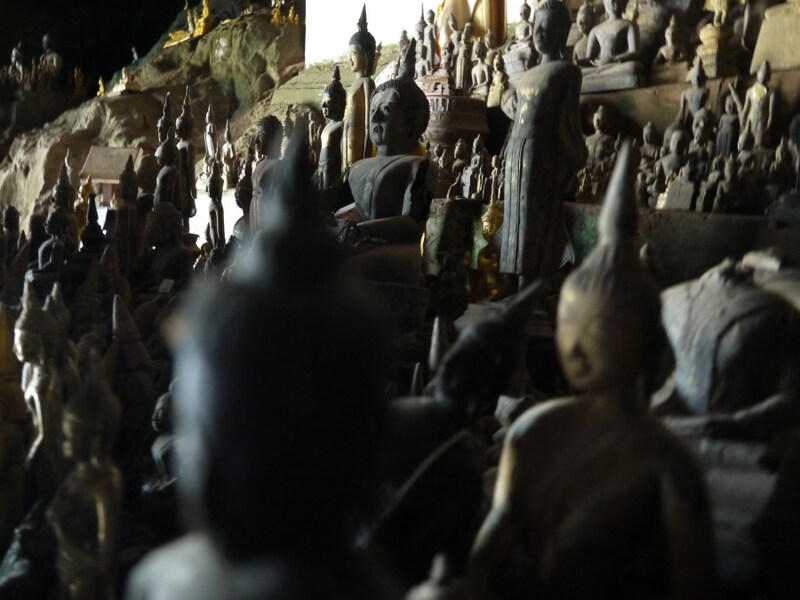 And here in a cave at Pak Ou is a repository for old and disused Buddha statues. Used for centuries. 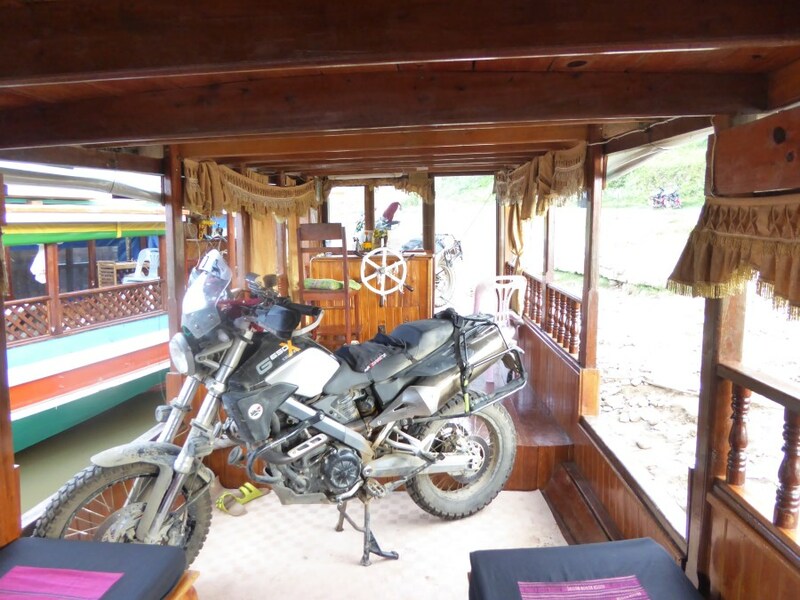 And in the upper reaches we board a longboat. Oh dear. What a mess we have got ourselves into again. How will we get our bikes on! But we do. Far too busy to capture this process with photos. 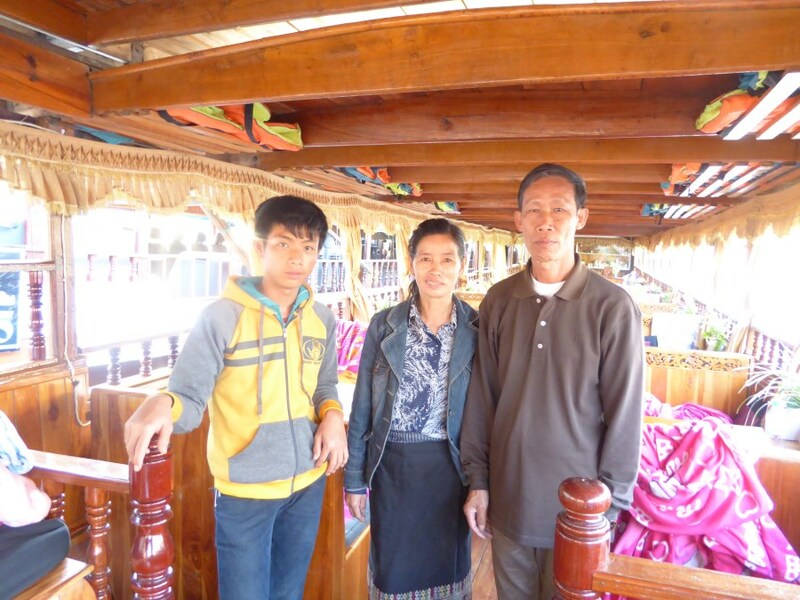 And here our longboat family; our captain, Ten Keng, his wife and son. … now and then a speedster passes us (see the driver has a helmet on). 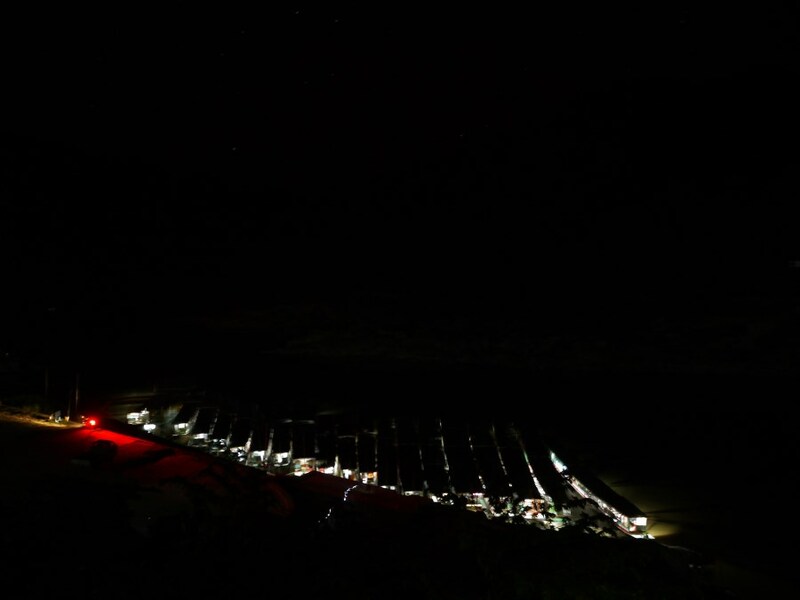 And at night we look down at them. And the next morning we leave again. The sun cuts through the mist …. 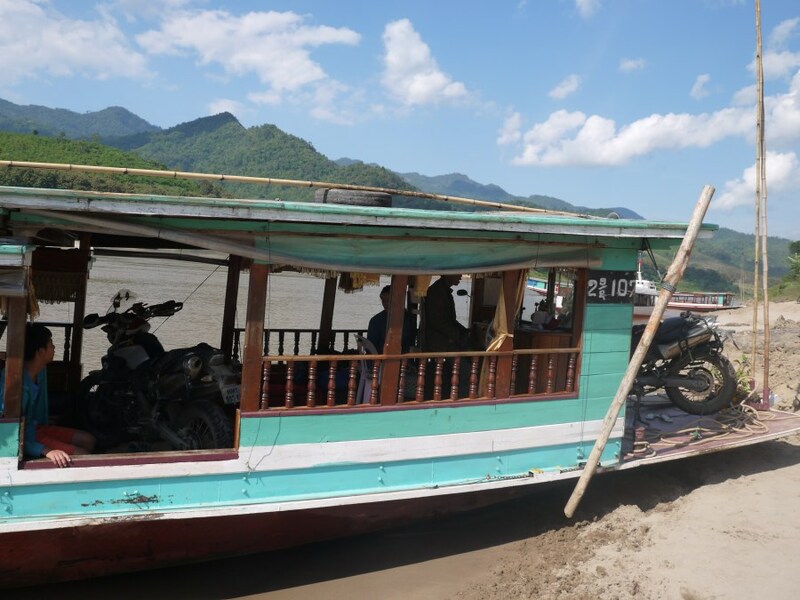 and we make our way from Pakbeng to Luang Prabang. And Harry gets down to some admin. It is cold! 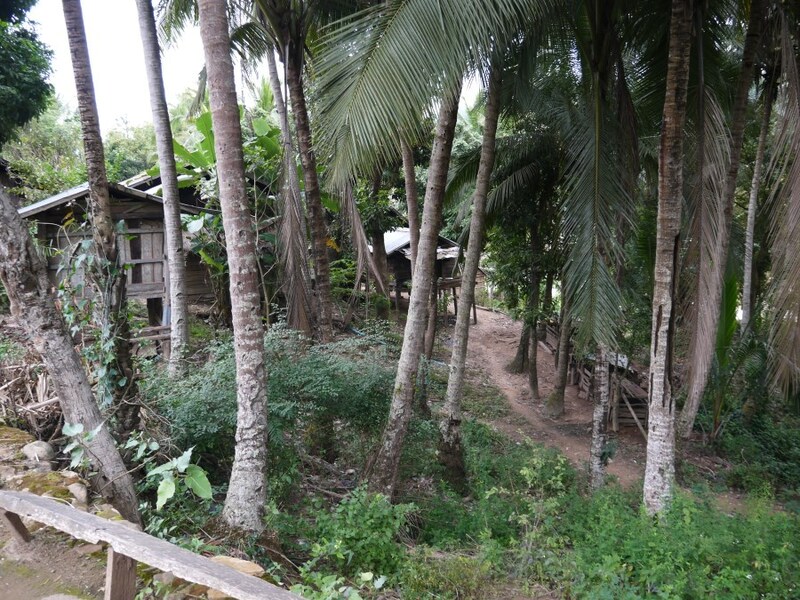 Here and there we spot the stilted houses of riverside communities. 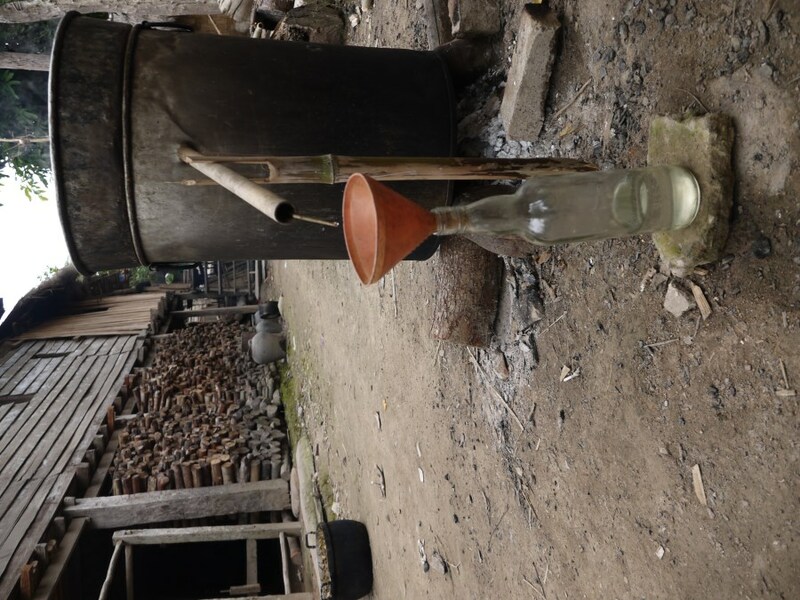 We stop to visit this settlement. 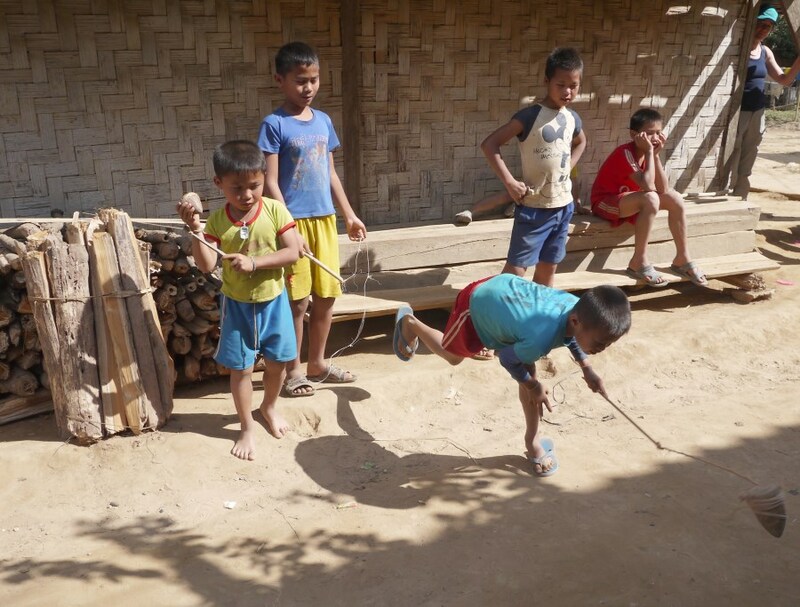 Boys show off with spinning tops! And we buy some needlework. And fancy … this disk keeps the rats out of the stilted storage rooms. 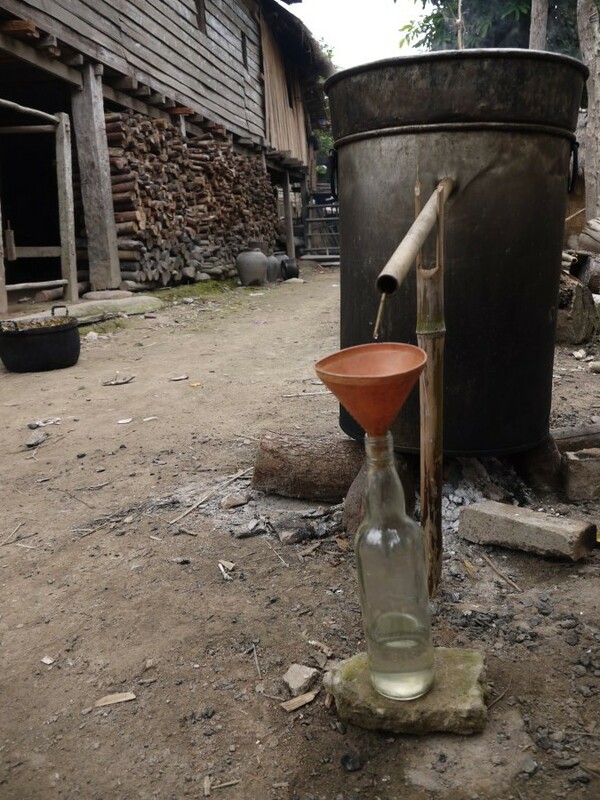 And fancy again … alcohol made from sticky rice! These good-byes are always disturbing. 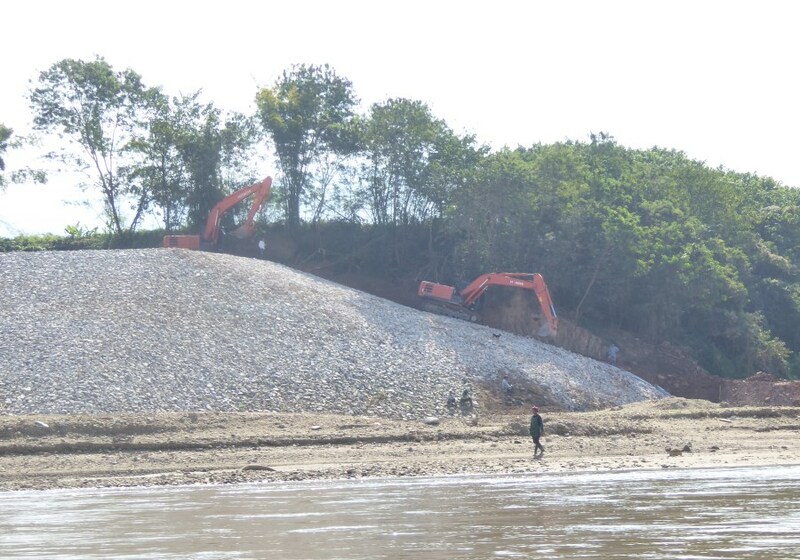 But the sight that haunts us most … is the early construction work we see for the new Pakbeng Hydro Power Dam. Yes, this is the future. This map shows 20 dams (either completed, under construction or proposed). Laos has 9 of them. 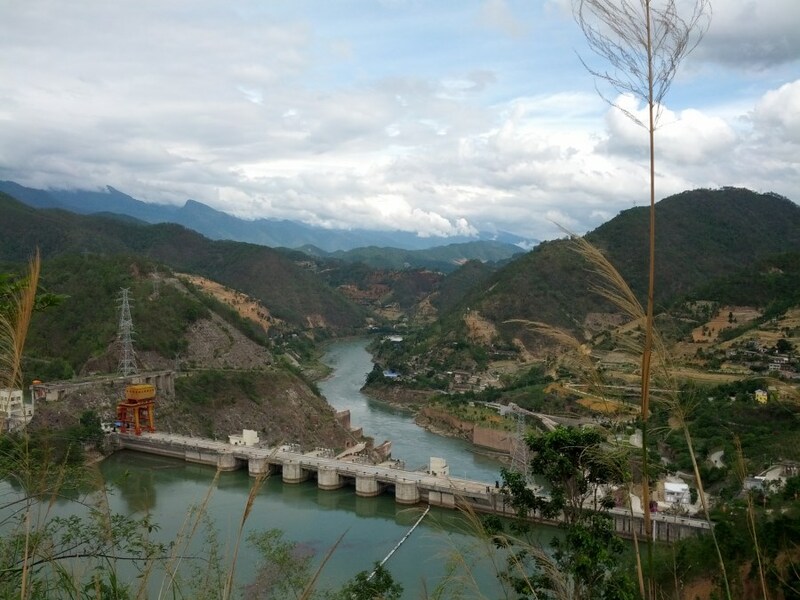 This is a photo of one of the Chinese Dams built in the upper reaches of the Mekong. And there is usually not a lot of water on the otherside of a dam wall. 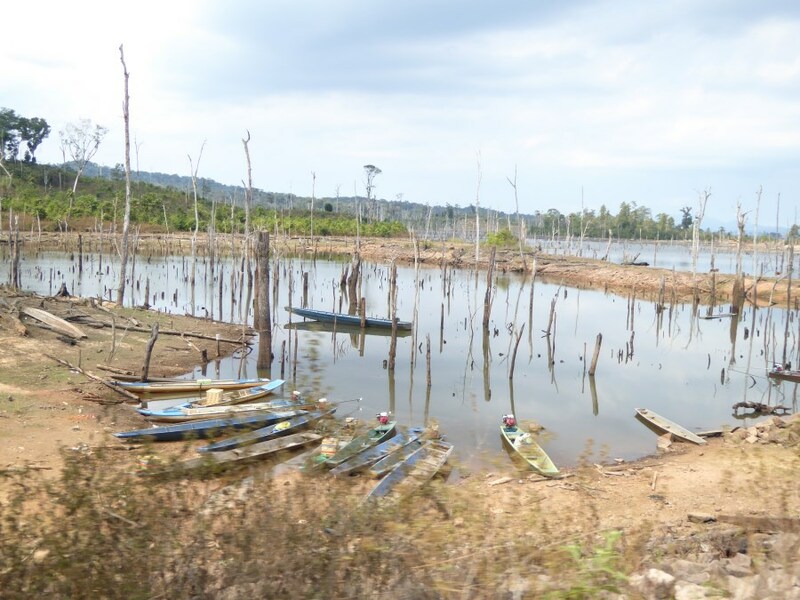 And this is the Xayaburi Dam in Laos, now almost complete. It is a $3.5-billion venture. Activists say it displaces 900 people and affects the livelihoods of 200,000 more. 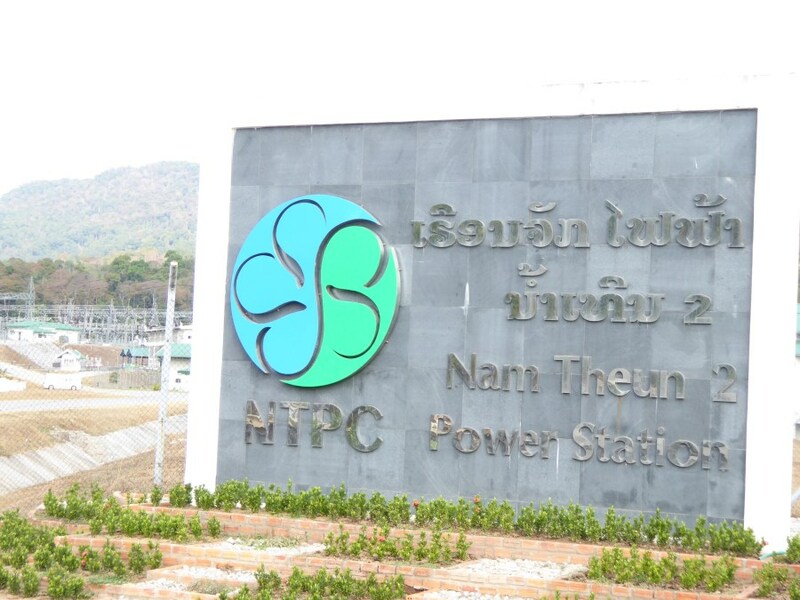 We travel in the Nam Theun 2 Hydro Power area. And we see those pipelines cut a path to Thailand. 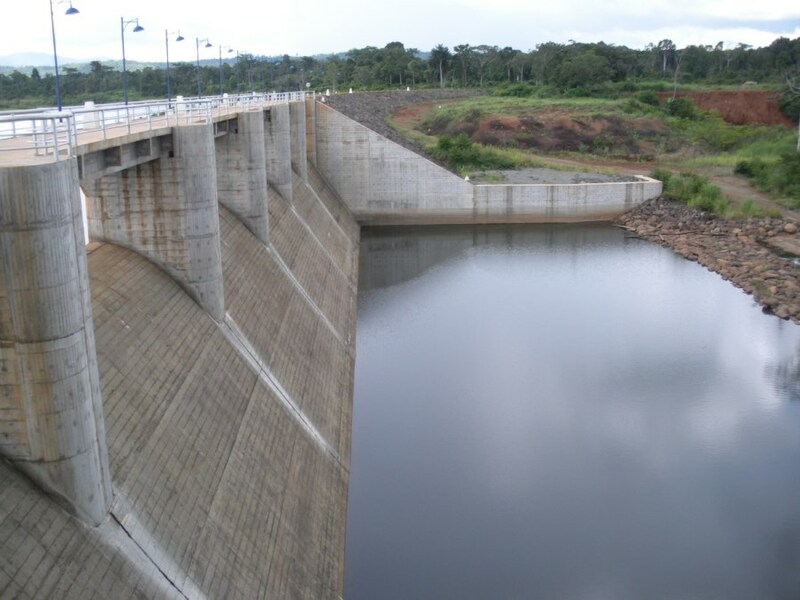 This is the a dam wall at Nam Theun. 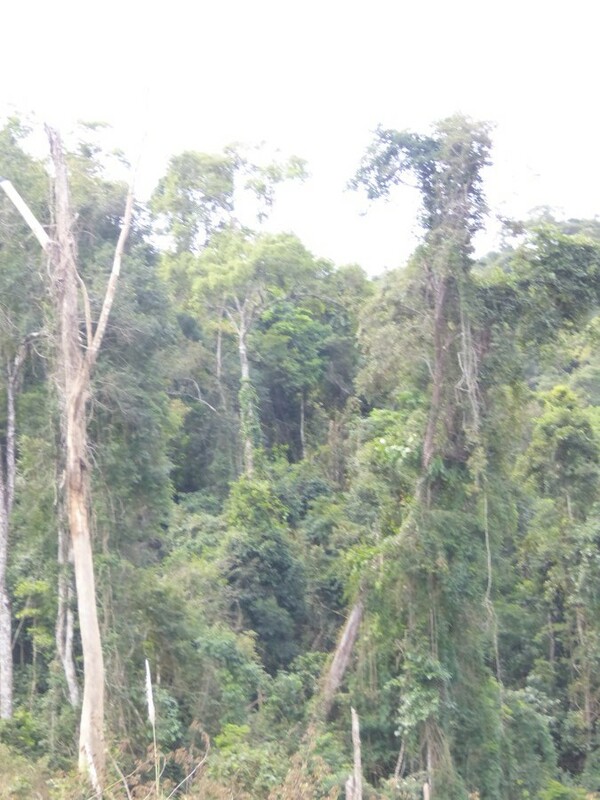 Behind this dam wall is a flooded forest. On the fridges we see the forest as it was. 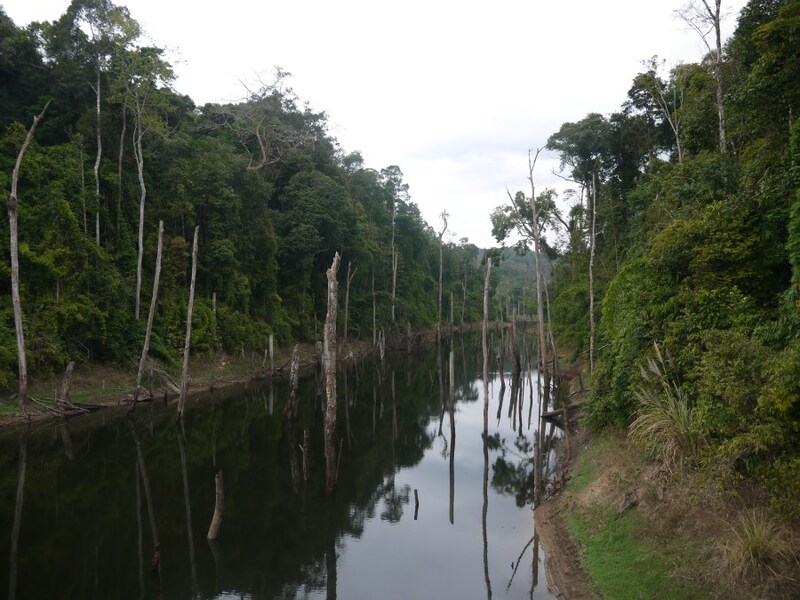 … and slowly flood away the forests. 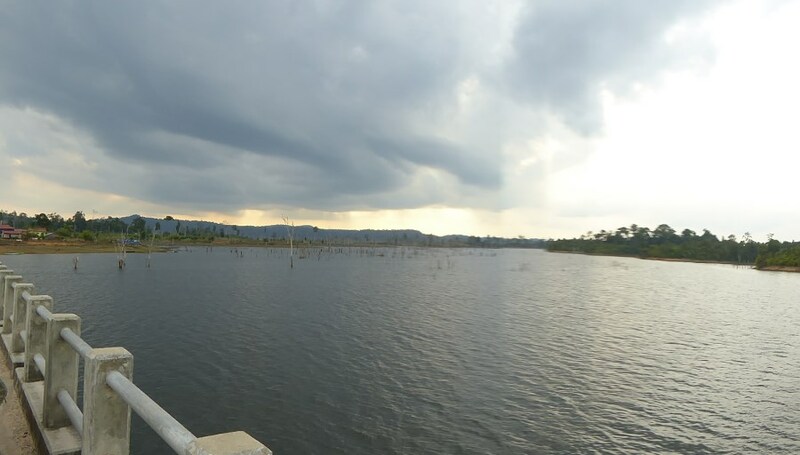 Here is a newly created reservoir to feed the Hydro Power plant at Nam Theun. 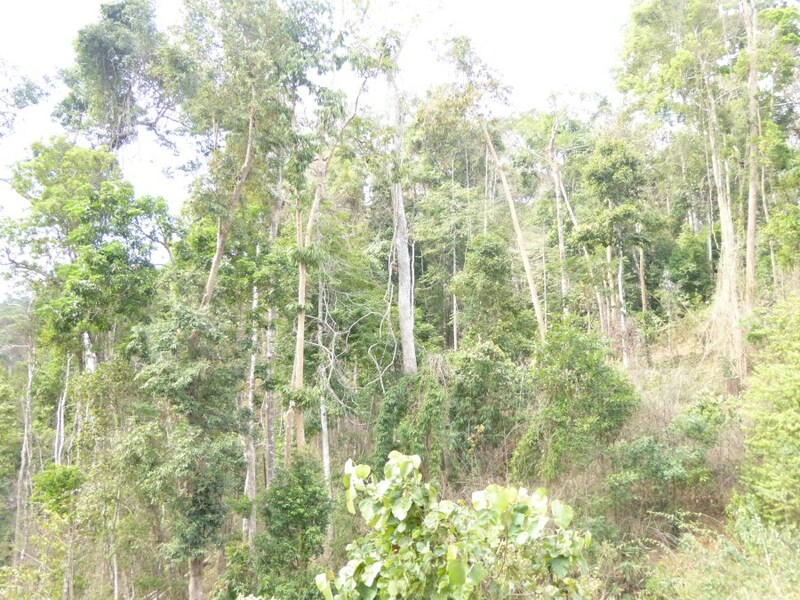 … and the planting of new trees. … and how can sad look so beautiful. What an incredible journey and story. Can I please make some bookings for the first talk / show when you are back in PE? Keep safe and keep the posts coming…. Brilliant photography! 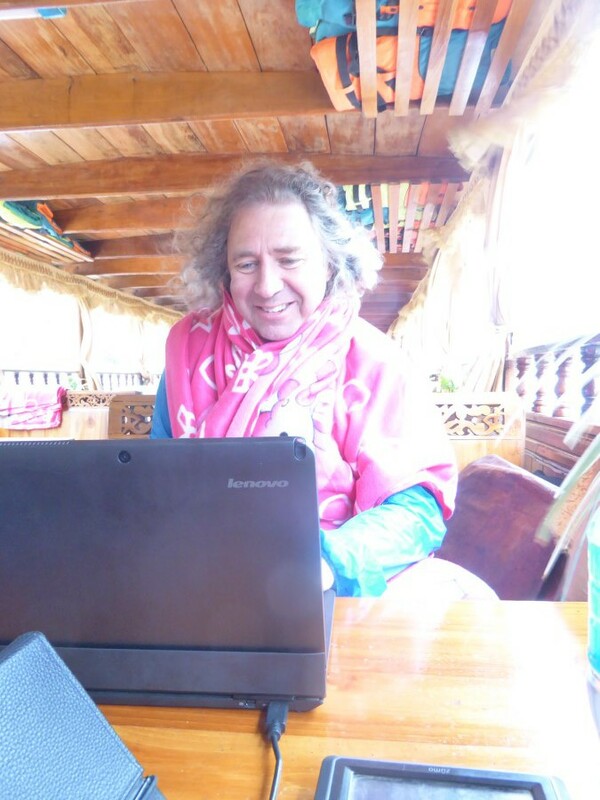 Development is so complex, because there is always a winner and a looser. Almost every time nature is the looser! Very complex issues to deal with. 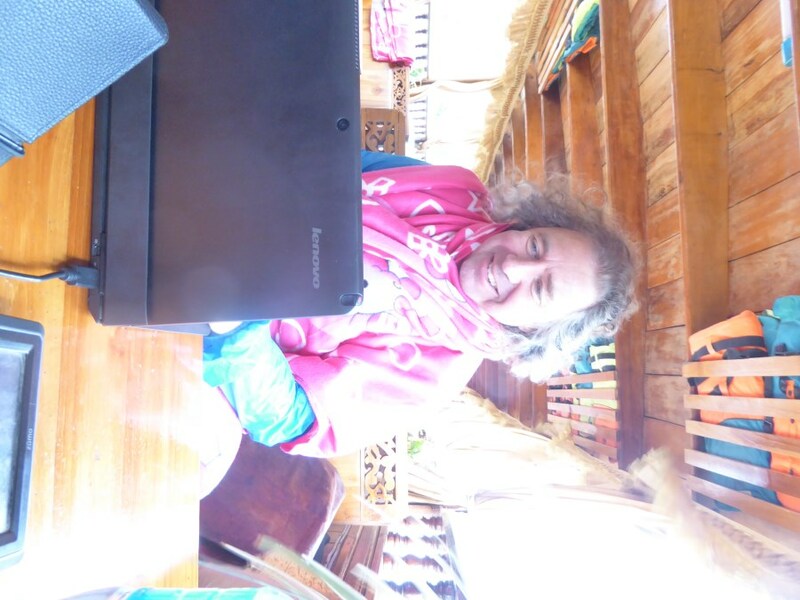 The long boats are fascinating! The poor elephant…. Amazing insight——-very emotional reading—-super photos——thanks SO much and please take care !! Hello. Really beautiful, very nice pictures. I really like the boats, they must be very old. Must have been so very interesting. Thanks for the insight. Seems like a bit of a dam lottery between the various countries. Not sure whether this type of progress is good or not? 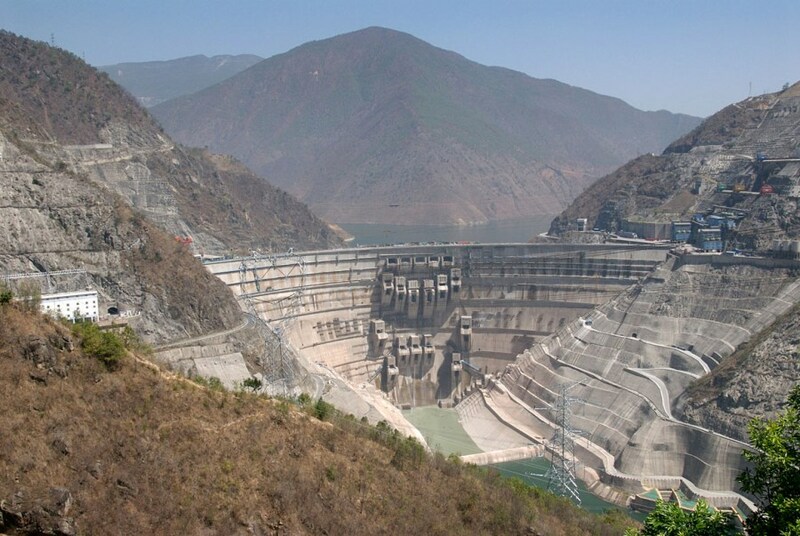 Almost a house of cards….if the Chinese are going to build dams then why shouldn’t we? Thanks for the inspiring photos and words again. I fully share your sentiments: progress…beautiful…sad… because that’s what I witnessed from my hometown. Take always good care of yourself up to the end of your road!